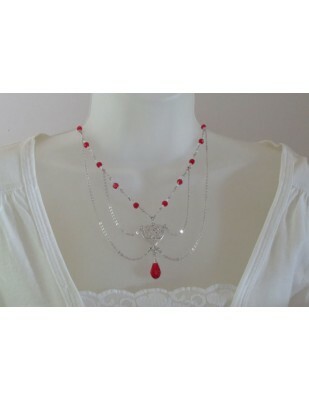 This is a beautiful Silver necklace 950 silver with swarovski faceted crystal beads. Do not miss this wonderful gem. 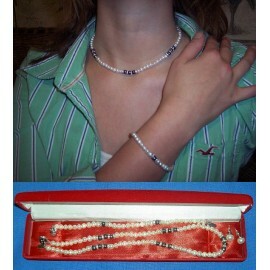 Peruvian silver is known for its unmatched quality, purity and beauty. Total weight 18 grams with silver weight of 14 grams. Length is appx. 18 inches. This silver is solid 950 silver. 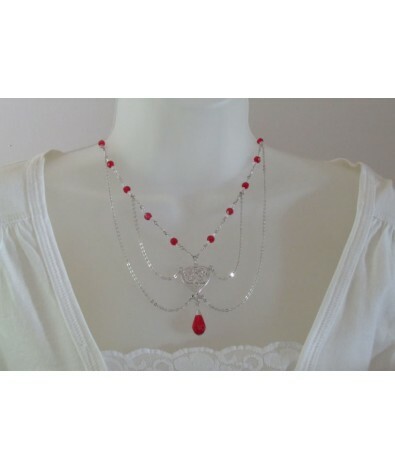 The necklace comes with his own gift box.